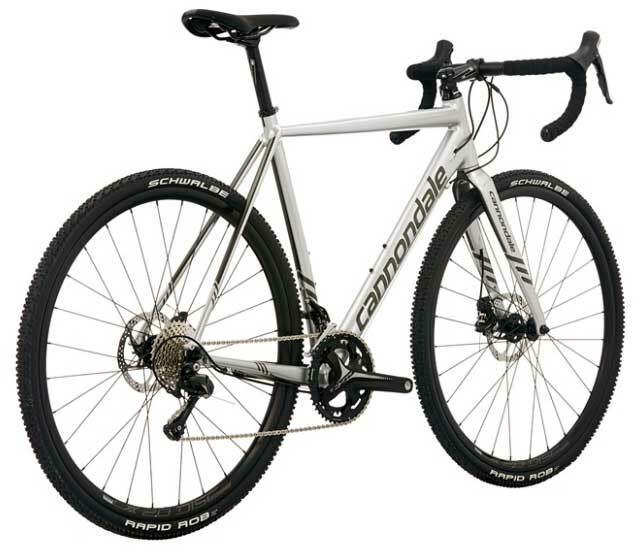 Cannondale is a very well-known brand when it comes to producing high-quality accessible cyclocross and road bikes. The Cannondale CAADX 105 is another bike from this brand that fits this description perfectly. It is lightweight and suitable for all terrains, so it should appeal to a wide spectrum of possible customers. The Cannondale CAADX 105 has a list of components that is very competitive for its price. Many bikes out there try to be everything to everyone, however, only a few succeed. Some compromises have to be made for that cause, but the CAADX 105 managed to end up being a great commuter-friendly bike and a cyclocross grinder at the same time. The Cannondale CAADX 105 specifications definitely make this bike a shortlist candidate. A mixture of aluminum, carbon and Shimano 105 components means that you will be able to make some serious speed gains. The Cannondale CAADX 105 is perfect for anyone who is looking for versatility and high performance on smooth paved roads and rough gravel paths. The main features of Cannondale CAADX 105 simply talk for themselves. After reading this section, it will become clear to you why this bike is considered a good deal by many. Starting from the frame, carbon fork, decent components all the way to the saddle and tires, the CAADX 105 is an all-rounder. When we talk about aluminum frames there isn’t a company that has much more experience than Cannondale. They were one of the pioneers when it comes to aluminum bikes, which is obvious from their aluminum frames today. The Cannondale CAADX 105 frame is no different. 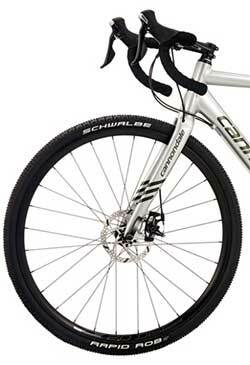 It is a very lightweight aluminum frame with smooth welds that have become a trademark of Cannondale. This frame is a part of their Smartform line, which means that it comes with good steering geometry and lots of stability for any rough terrain. The definite high point on the Cannondale CAADX 105 is its high-performance carbon fork. It helps to effectively reduce the total weight but reduce road vibrations as well. The CAADX 105 was built with rough terrain in mind, so a carbon fork was the perfect solution. The carbon fork is present on all Cannondale’s CAADX models, so it is a standard that you can expect even if you decide for another bike from this line. The drivetrain on the Cannondale CAADX 105 is a combination of 2 rings in front and 11 rings on the cassette. Therefore, there is a pretty rich combination of 22 gears. This makes the CAADX 105 a very versatile machine that can tackle many different types of terrain. 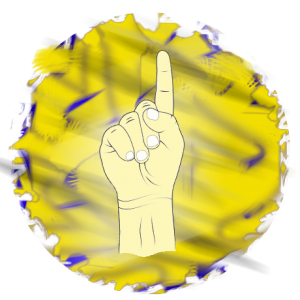 There are both very slow and very fast gears at your disposal. However, for some rides, it is a shame that a 1×11 gear combo is not available as well. Since the CAADX 105 was designed with cyclocross in mind, this would be a good step in that direction. Shifting gears on Cannondale CAADX 105 is trusted to the reliable Shimano 105 derailleurs. The 105 component group is part of Shimano’s mid-range equipment that has been tried and tested for years. Many riders agree that this is the component quality class with the best price-value ratio. Both the rear and the front derailleur is part of the same component family, so you will have a seamless transition between gears in all conditions. At this price range, the Shimano 105 is a great solution that has earned its badge both in muddy and dry conditions. Cannondale has opted for mechanical disk brakes for this CAADX model. The brakes are made by Tektro, which is right now getting the lion’s share of the mid-range market. Mechanical disks brakes need a bit more tampering before they can be adjusted to work perfectly, at least compared to hydraulic discs. However, having disc brakes is in any way a great solution having cyclocross in mind. The tires are complementary to the whole bike and add to its versatility. The WTB Riddler 700x37c means that you will have plenty of stability even on the very technical terrain. 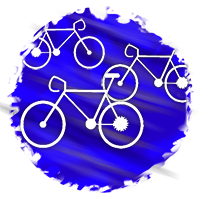 However, the contact patch is not too wide on the straights, so you will not have too much friction if you use the bike to commute. The tires are tubeless, so you won’t have to deal with many punctures either. Cannondale CAADX 105 comes with a pretty standard saddle on many Cannondale’s cyclocross bikes. It is a Cannondale Stage CX and most reviews online are quite positive. The saddle is one of the three points where your body makes contact with the bike, so it is important for it to fit you well and to make the ride comfortable and efficient. The pedals are the second point of contact between you and your bicycle. For CAADX 105, Cannondale has opted for Wellgo Platform pedals as part of standard equipment. However, if you plan to ride longer distances, we always recommend going clipless for added efficiency and improved performance. As you can judge from the features above, the Cannondale 105 is a beautiful mixture of road bike and cyclocross components. It’s a highly versatile bicycle that will perform extremely well in most conditions. So, if it is difficult for you to decide between a strict road bike and a bike that can tackle some gravel, the CAADX 105 will meet both of these requirements. The weight of only about 22 lbs, thanks to the aluminum frame and carbon fork, is low considering that this bike is built to tackle the rougher terrain. The only point where Cannondale could have gone a step further is the brakes. It would be great to see hydraulic disks, which should be possible on a $1,500 bike. The performance between the two is pretty much the same, but hydraulic would be much easier to maintain. All in all, we don’t see a very good reason why you should not shortlist Cannondale CAADX 105. You get plenty of bike for the money you take out of your pocket and you will definitely not be disappointed. The Cannondale CAADX 105 will be a worthy companion for most riders out there looking for a decent mid-range road/cyclocross bike. If you believe that this Cannondale CAADX 105 does not fit your needs well, whether it is too much or too little bike for you, check out the other CAADX models. There’s a high chance you will find something that suits you much better. Cannondale CAADX Tiagra – Lower mid-range than CAADX 105 with Tiagra components and thinner 35c tires. Cannondale CAADX 105 SE – Similar to the CAADX 105, with the only difference being that it is more suitable for the road. Cannondale CAADX Ultegra – A higher-end CAADX model with a full Ultegra set of components and hydraulic disc brakes.